Outdoor Space and Public Housing: How Do We Design it? I have written about the history of public housing a few times on At the Helm of the Public Realm. 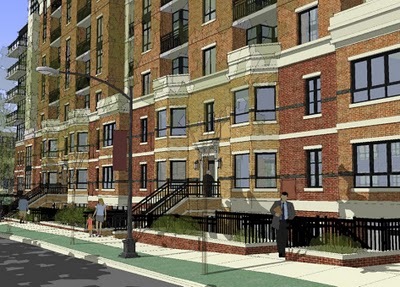 Studying it as an urban designer and as an architect, has given me many different views on how developments like Pruitt Igoe and Cabrini Green got it so wrong. It seems that every built environment professional has learned their lesson: out of scale, brutalistic structures surrounded by vast amounts of shared, open space fails. But what we discuss much less often, is how to get it right. 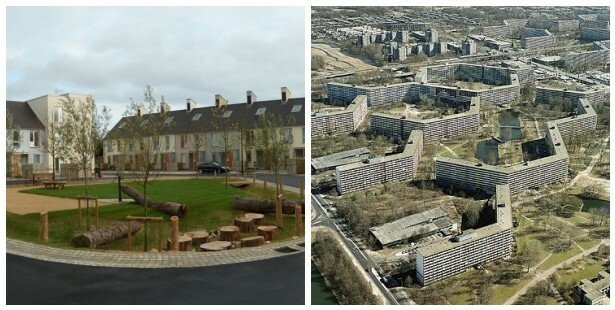 The blog post, Housing Design Outdoors on Polis last month gives an overview of what the necessary principles are to create a housing development. The article while written by a planner, Peter Sigrist, who concentrates his research in public housing. While planning is important, the fact that his research yielded results that are so design oriented, proves to me that urban design is one of the most dominant contributors to a successful public housing development. What has the greatest influence on the design of public spaces are the buildings that form them. Therefore, if we get the building form, scale, and interior spaces wrong, their isn’t much hope for what surrounds it. Consequently, while Sigrist says these principles are about the design of public space, he is actually listing architectural principles of building form. The first 3 principles, proximity, enclosure, and scale, while slightly different, are very much integrated with one another. Proximity between buildings is important, because it provides a human (and comfortable) scale of open spaces. Buildings have to be close enough to one another, so that the entirety of the space between them can be overlooked for safety purposes. Enclosure of outdoor spaces, which should also be at a human scale, is directly affected by the proximity of the buildings that form them. What Sigirst doesn’t explain, is that the sense of enclosure that makes humans feel comfortable needs to be formed by “active edges” to a building, whether its retail or residential openings in the facade. This once again allows overlooking of the enclosed space. Blank walls and fences make people feel unsafe and uncomfortable and should be avoided despite enclosure. If these are unavoidable, it should only be in private and physically secure spaces. Finally, scale is the principle that completely determines the first two. Sigrist is right on when he says, “Higher buildings result in cavernous settings when grouped together, and conspicuous voids when spread apart. Longer and wider buildings can impede walkability and reduce green space. Expansive façades highlight repetition, monotony and decay. Smaller buildings tend to be associated with comfort around housing, perhaps because of the psychological effects of less-polarized differences in scale.” The end and short of it is that people’s comfort is tied to their human nature, which scale directly reflects. When people are disconnected from the elements that reflect their humanity (such as trees, for example), they have the tendency to lose it. 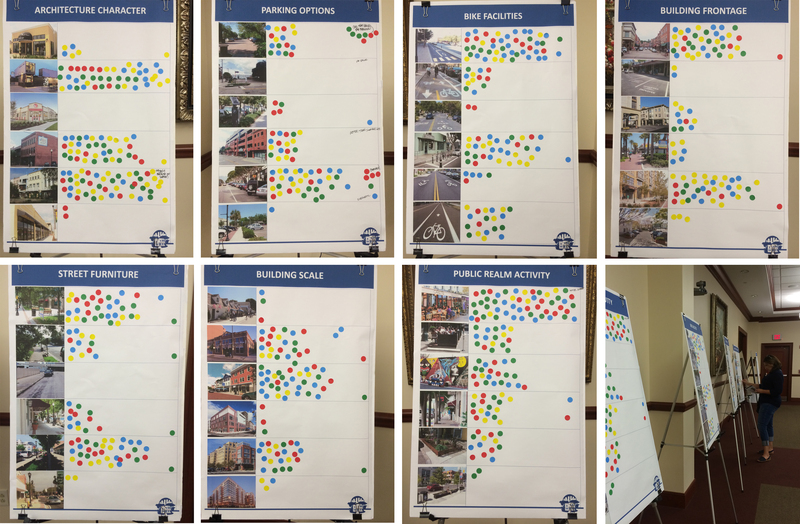 Accessibility between residents and community mixed-uses, such as transit, retail and schools, are just as important as the form of open public spaces. 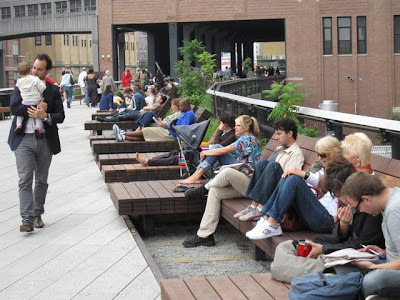 Public space can only be healthy if it is actually used. If people do not use it as a pedestrian route from their home to local destinations, it may become less used, less loved, and less looked-after. 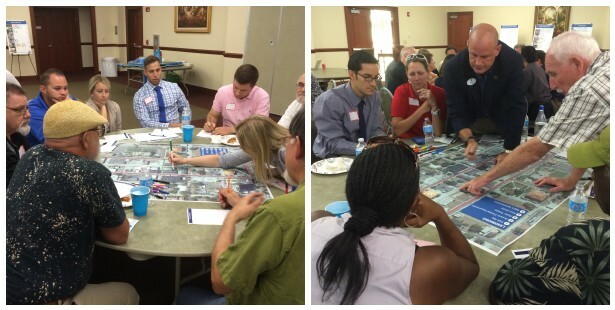 One of the largest issues in public housing complexes is the maintenance of open space. One of the largest reasons is because people can feel like it doesn’t belong to them. If people have an emotional connection to a place, they will want to care of it. 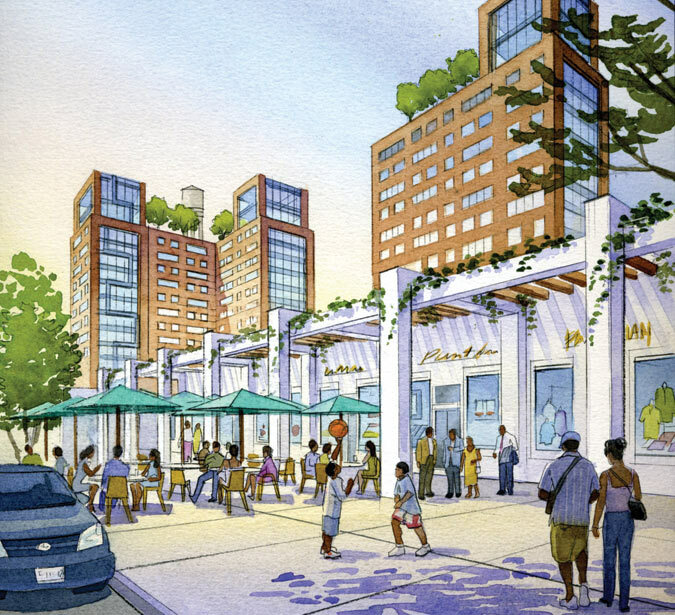 Level of activity is crucial to the success of public spaces, which is directly dependent on a development’s location to its surrounding neighborhood and strong physical connections with its context. If a development is within a hot climate, trees (as the author states), are crucial in providing a micro-climate in which people can still use a space all year round, which is imperative to maintaining activity. However, while Sigrist says that hedges are acceptable despite their disconnecting effect of residents from the public realm, I completely disagree. Not only do they impede access, they prevent overlooking and harbor unsafe places. While the last two principles, material and style, certainly contribute to the health of open, public spaces, they are not necessary; if we achieve the first 4 we have fought 99% of the battle. This research shows that the success of public housing, or any housing for that matter, is dependent on their location in relation to mixed-uses, the human scale of the architecture, and defining the relationship between buildings. How to Series: Residential Parking. I’ve written posts on how to make room for the car in the urban environment without letting it take over the city. This is definitely harder said than done, and one of the most important factors in making sure this happens, is the design of parking. Cars have very negative effects aside from the pollution and destruction of the natural environment; its important that they do not disrupt the pedestrian and community culture of a place. No matter the type of residence, parking is best on the street. Parallel parking slows down drivers (it takes some time and skill to park) and forces them to be aware of people around them. This allows playing children, joggers, and dog-walkers to access their built environment comfortably. Street parallel parking also provides a barrier between the sidewalk and street, which also improves pedestrian safety. But arguably the most important benefit of street parallel parking is that it activates the public realm. Where people park in relationship to their home has become increasingly important as car usage has increased. If people park on the street in front of their homes, the activity of them walking from their car to their front door adds to the liveliness of the public realm. To the neigh-sayers who say that home-buyers won’t buy residences without private parking, I beg to differ. There are historic neighborhoods developed before the car a dime a dozen that don’t have designated parking. People pay good money to live there. 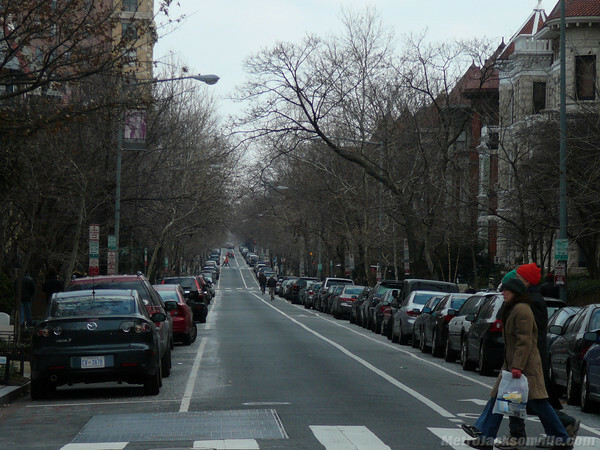 Granted, they have other attractive factors that are hard to recreate in a neighborhood from scratch, but parallel parking can still be assigned to residents in areas where parking is limited. In the residential context, an active public realm is crucial to social inclusion and community building. The best way in achieving this is by not separating users (pedestrians, drivers, cyclists, public transportation.) If room is made for everyone in the same public realm, people will see and meet each other more. In short, active public realm = social sustainability. In cases where driveways are necessary, its important that they are on the side of the residence so that people will exit their car and still walk to the front of their house. This once again increases surveillance and community interaction with their neighbors. However, it is important that parking is not located in front of the residence because cars will dominate the streetscape instead of buildings. This will minimize ground floor activity, which can lead to a dormant and less safe public realm. Garage doors, especially as part of a townhouse or rowhome, are detrimental for the public realm. The townhouse typology that has a garage and main entrance at the front with the living area at the back creates zero activity on the street. If the living area is at the front of the property instead, more passive overlooking opportunities will be created. This can create a more social and safer environment. Before the car and air conditioning were invented, a classic housing type was the townhome with a living room and porch at the front. Neighbors sat outside to cool off and actually spoke to each other. Borrowing and egg? A common occurrence. The common occurrence now? Driving into your garage, walking straight into the house, and sitting in the lazyboy. Putting garages and driveways behind residences along an alleyway can create quite dangerous urban environments. With absolutely zero surveillance of personal property and walking to and from the car, it can be a breading area for crime. Even if these areas are secure, the same issue is created as stated above: streets become dormant. In the case of multi-family housing, street parking is not sufficient in meeting required parking counts. In this case parking decks should be wrapped with townhomes to hide blank walls and create as many doors to the street as possible. Obviously, while people who live in apartments or condos on upper floors won’t enliven the public realm, residents at street level can access their homes straight from the street. Wrapping parking decks with units is also a great opportunity for the live/work typology. Often at high densities with nearby commercial uses and a built-in customer base, live/work units can thrive. In any event, whether it is residences, commercial uses, or community centers, there are plenty of opportunities to bury parking garages so the streetscape can reach its full active potential. Parking lots are typically never good for the neighborhood or community in their traditional form; however, sometimes they are unavoidable. In this case, parking lots should be designed in landscaped detail so they can be transformed to community gathering spaces when not being used for cars. Take a look at this older post that looks at this issue more carefully. At the very least, parking lots should be designed with permeable and sustainable materials to reduce runoff, the heat index, and other negative environmental effects. The car is here and realistically, until public transportation is developed a faster and more extensive rate, some argue that we’re kind of stuck with it. But that doesn’t mean that we can create some great urban design around it. As a built environment professional, I refuse to let cars continue to tear communities apart the way they have in recent planning history. 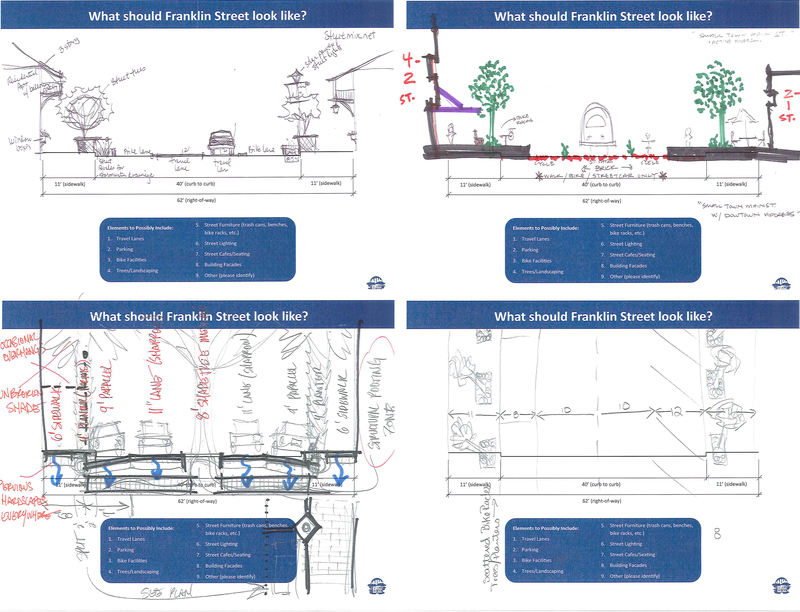 Hopefully the above how-to design tips will make room for the car in our neighborhoods, while creating the community cohesion that we so desperately miss. I want to create a mini “How To” series on this blog that gives clear methods on how to design a development. There is so much talk of principles and goals in our profession that there is sometimes little time for how to actually achieve those things. I came across this when writing a dissertation on New Urbanism in Suburban America. When I looked at the CNU Charter which states admirable principles that should be achieved through development I was lost wondering how people knew how to actually implement them. When I looked at the quality of New Urbanism in my home city of Charlotte it was clear that some developers thought that adding sidewalks was enough to “encourage walking.” There seemed to be an unclear standard of success in the movement. While it is important to understand the great cultural, environmental, political, etc. context of our profession at the end of the day urban designers must know how to do things well. Otherwise principles will never be achieved. Connectivity is arguably the most important first step in designing a development. There are different layers to a place that must be considered in a certain order so that it operates in the most efficient and sustainable way. The first is the natural landscape that you are given. A site might have hills or valleys and these can be changed by expensively moving earth, but instead these elements should be seen as giving the development a unique character and contribute to the place’s identity. 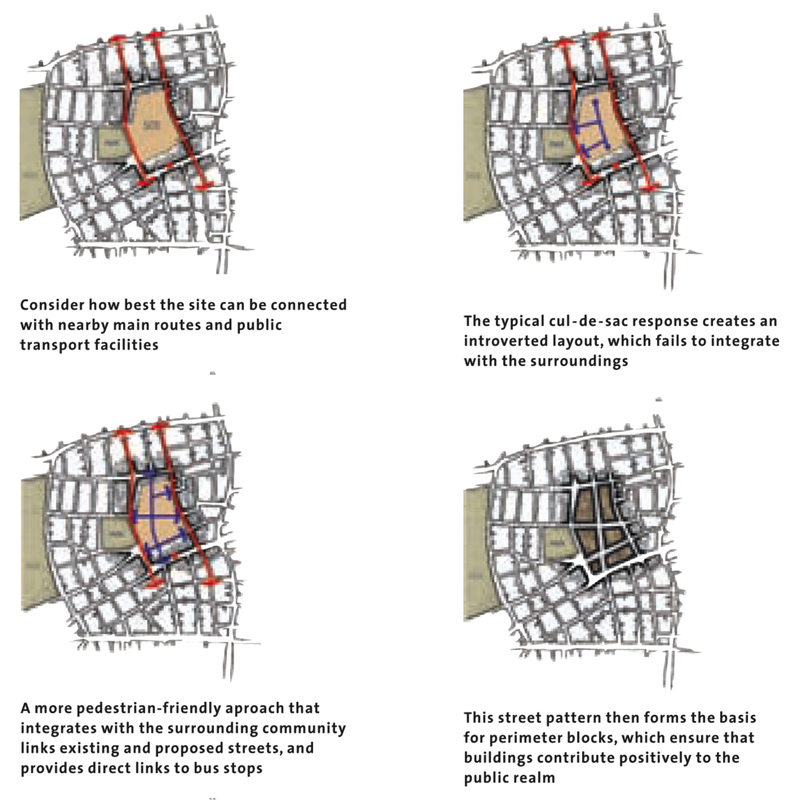 The second layer, and the first that designers create, is the street network, and therefore how the development connects with the urban context around it. This step can often be overlooked or pushed aside in a project’s design. Design teams can get stuck in prototypes, or reusing a layout because it has been successful in the past. But a good idea in one place, can be a bad idea in another. It is crucial that each site is analyzed and its context completely understood before moving forward. Connectivity is the most effective tool in creating a socially, economically, and environmentally sustainable development. First, the more connected a place is the easier and more efficient walking can be, which will encourage a healthy and social lifestyle. Community can be strengthened and social inclusion encouraged by more gateless entries into a development. If all people are welcome, all people could feel included. Second, if a development connects the urban fabric and its context together it has the potential for vibrant economic zones. It people can get from one side of your development to the other side easily, pass through foot and car traffic will increase, creating a greater market for commercial real estate. This can increase the value of property in the development and the greater area. This is a wonderful tool in urban regeneration. Third, the more connections there are the easier it is for public transportation systems to operate. If your development is a dead-end to no where you can be assured a bus route will never serve it. Connectivity can lead to the decrease in car usage and the increase in a healthier and cleaner lifestyle. These are just some of the biggest benefits of connectivity. The opposite, a disconnected place, can kill the life in the public realm before it even has the chance to form its own identity. The risk of getting this wrong? Huge. We’ve talked about the first layer of the built environment: the street network. Following that are the plots of land within the network, and the buildings that sit within them. Other elements such as open spaces are parks lie within this system. Plots of land change as owners change and acquisitions occur. There is such a focus in the design world on buildings, but when you look at these layers the street network is the most permanent and can last thousands of years. Buildings most often last for a few decades. But when a street is built, expensive infrastructure and land ownership follows suit; both very hard to change in the future. For example, some of the most used roads in England were originally laid by the Romans. So when we lay the classic suburban layout of cul-de-sacs and streets to nowhere we can be doing damage could last millenniums. So how do we create a connected development? Analyze the existing urban context and determine its most used and active streets, as well as its public transportation routes. These will be the most important to connected to. Continue these streets across your development so that all available connections are made. 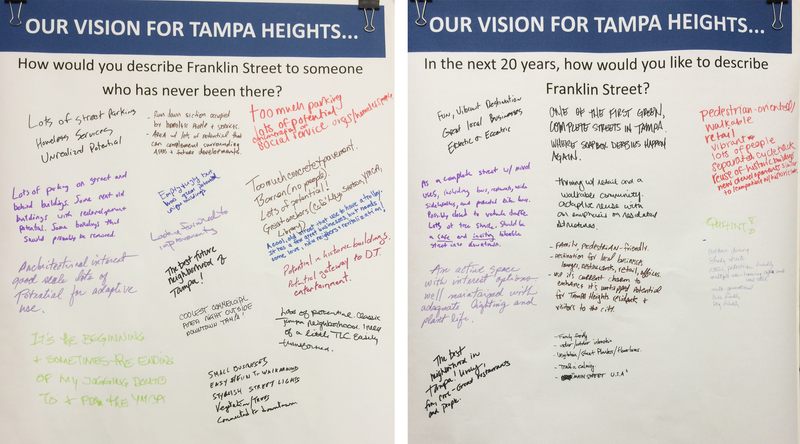 The freedom in movement choice will create a more efficient pedestrian system and allow direct access to existing public transportation routes. Strengthen this by avoiding the use of cul-de-sacs, which fail to integrate with its surroundings, and instead use perimeter blocks, which can create an active realm. A connectivity analysis of a proposed street network in Oxford, England. The image above shows a project I did in Oxford. The image on the left shows the most vibrant and active streets in Oxford (shown in red and orange) and the quiet and more residential ones (blue and green.) After the steps above are followed, its important to know the best place to locate commercial or community uses. There doesn’t need to be any guesswork in making these decisions. By using the Space Syntax program, or an analysis of your own based on street intersections within your site, you will know where the most activity will occur. The image on the right shows which streets were most active, where I located shops, a school, community center, and office space, and the streets that were quieter is where I located houses and apartments. It’s a simple method, urban designers and planners just need to be aware of it.